Sunil Asoka Jayasinghe (born July 15, 1955, Colombo, died 20 April 1995), was a former Sri Lankan ODI cricketer who played two ODIs in the 1979 World Cup competition (the subsequent British Isles tour incorporated his only first-class appearances). 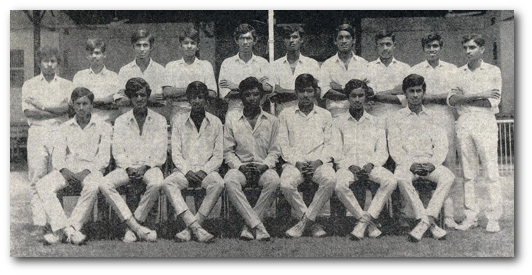 He was educated at Nalanda College Colombo and captained the College first XI team in 1974. For many years he represented Bloomfield CC and during the 1982/83 Lakspray Trophy compiled a monumental 283 against Colombo CC (this tournament was only recognised as first-class from 1988–89). He committed suicide aged 39.